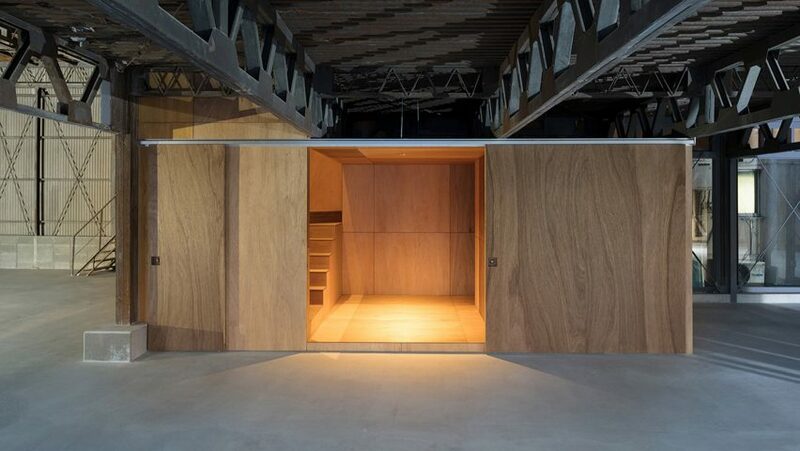 A magazine paired Schemata Architects with the owners of this house in Miyazaki prefecture for a renovation project in which the Japanese studio has reconfigured the former factory space by creating a series of plywood-lined rooms. The house owned by a married couple was originally the husband's childhood home and had previously played host to a family-run shop, and before that a factory. Still fond of their home, they wanted to renovate the building without making any major changes to its layout or appearance. 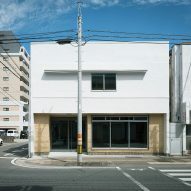 They decided to enter a programme organised by the Japanese culture magazine Brutus, which pairs readers who are looking to overhaul their homes with their favourite architecture practices – in this case Jo Nagasaka's Tokyo-based studio Schemata. "When we received a postcard from the client outlining his request, we looked up street views of the project site on Google maps and couldn't believe the scale of the building," said Schemata. The Schemata team worked out that the couple only used 170 square metres of floor space in their day-to-day lives. 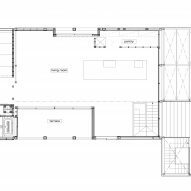 Keen to make use of the extra room in the 400-square-metre plan, the architects structured the home around a series of voids that could accommodate the client's new hobbies or business ventures. "Such voids created somewhere between the interior and the building envelope, generates a dynamic space that raises expectations for something to happen…we are looking forward to seeing what will happen here in the future," explained the practice. The house now features several open rooms that are lined with panels of lauan plywood. 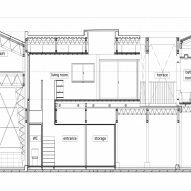 Private areas like the bathroom have been placed towards the rear of the second floor, away from the street-facing elevation, while the bedroom has been tucked inside a wooden box. The cooking and dining area is fronted by a glazed wall, allowing inhabitants to see the exposed steel framework of a previous extension. Larger, vacant rooms offer a place for the inhabitants to host social gatherings. In a similar project, Schemata Architects updated an inherited family house in Tokyo by stripping away its walls to reveal an aged timber structure.